Welcome to the April 2014 Edition of the HamSphere Newsletter. The HamSphere 4.0 development is on schedule and we are currently testing out the full platform including server and client. The tests started Q1 2014 and we are going to send out the product to our subscribers and DX-Users at the end of June 2014. HamSphere 3.0 will run parallel with 4.0 until further notice. Make sure you are first in line by getting yourself a subscription if you haven't gotten one already. As a subscriber, you are also eligible for our software pre-launches and sneak pre-views. Follow this link to upgrade your account. The HamSphere 4.0 editor and its repository consists of a fully fledged assembly editor where the operator can drag and drop "plug-in modules" to the assembly editor stage. Currently we have 43 standard plug-ins for the operator to select from that are included in the subscription. Other plug-ins will be available for purchase from the HamSphere Play Plug-in Shop. At the time of writing already have 13 different add-on modules to choose from and plug-ins are being developed continuously. Our testers have been very creative and here we show some examples of their built rigs. The transceivers can be built vertically or horizontally, single module or multiple modules, large or small and with different skins. Flemming, 21HS434, utilizing Digital UTC Clock, Local clock, Dual LCDs with memory and Azimuth display. Dual VFOs, Separate Power and S-Meter readouts. Antenna rotator and Antenna selector. Band scope and Audio setting controller. Band, Filter and Mode keypads. He has created five different sub-views with the Group Switcher tool that enables him to create more functionality in less space. Adam, SQ8AMD with his brushed aluminium skin. Dennis, N8LD with his Copper skin rig. Gerald, AA5DK with his Wood block rig. Denver, 4S7DA with his modified standard rig with added features such as oscilloscope etc. Patrick, ON7VP with his monster rig built on black ionized aluminium skin and his rig includes many features. Steve, KC3AZT has created a brushed aluminium rig with a small footprint. Currently we have 8 different skins to choose from; Light Aluminium, Copper field, Blue Stacks, Dark Aluminium, Brushed Aluminium, Wood Blocks, Dirty Look and Wood Tiles. 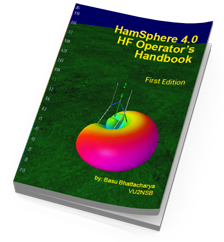 As HamSphere 4.0 is a new revolutionary concept based on a fully realistic shortwave simulation, the software will come with a comprehensive handbook covering: Introduction to HF Radio Communications, HF Ham Radio and HamSphere, Transmission Lines, Antennas, HF Propagation, etc. For any Amateur Radio Station apart from the skill of the operator the most important thing is the the quality of the antenna. Even the best rig is no good without a good antenna. HamSphere 4.0 is no different. 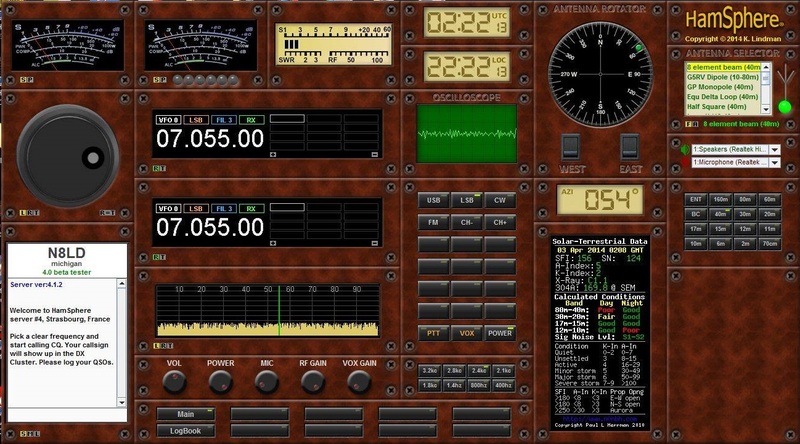 It is a very sophisticated virtual ham radio platform with a state-of-the-art SDR transceiver. But at the end of the day successful HF communication depends largely on the type of antenna used by the operator. 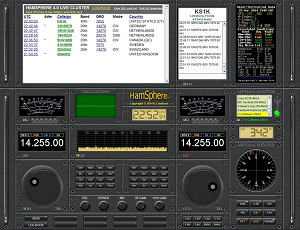 HamSphere 4.0 provides option to the operators to select and use variety of virtual antennas which are available in the repository. Some situations would warrant use of Omni-directional or broad beam antennas to conduct group QSOs while at times one will need high gain directional antennas to be able to contact DX stations under adverse propagation conditions. On HamSphere 4.0 HF bands the propagation conditions are dynamic and vary from band to band at different times of day or night. Propagation conditions are different at any point in time at locations around the world and constantly keep changing as the earth spins on its axis and also as it revolves around the sun according to seasons. Conditions are also different at different latitudes. Sun plays a major role in determining the ionospheric charge densities depending on the SSN (Smoothed Sunspot Number) which in turn reflects on the radio station's ability to make contacts with other stations around the world. Proper selection of antennas can often make or break the station’s ability to reach out to distant regions of the planet. HamSphere operator will be spoilt with choice when it comes to antennas. 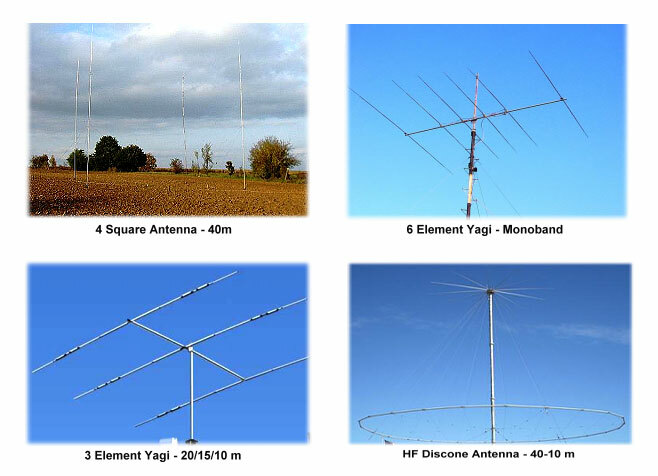 Almost all popular HF antennas will be available to HamSphere users. Unlike the real world where various constraints limit the operator's ability to erect physical antennas HamSphere being a virtual radio environment has no such limitations. Some of the most common types of antennas are shown here as preview to what is in store. Eventually many more antennas will be available. This is just a sneak preview. The radiation patterns of some of the antennas on HamSphere 4.0 are shown below. 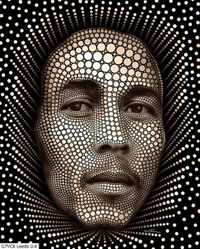 Since a picture is worth a thousand words, the patterns are put up to provide a glimpse of the capabilities. changing their characteristics: some of them become more reflective to radio signals when subject to solar radiation whereas some start to absorb radio signals. This is why some shortwave frequencies are good for nighttime reception and others for the daytime. Sunset and sunrise present some other interesting opportunities as both the nighttime and daytime layers begin to swap over. 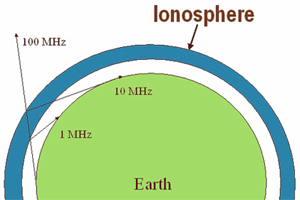 This complex interplay of radio signals and layers of the earth's atmosphere is usually termed "propagation". One of the biggest changes is the 6m band that has been converted to a Sporadic Es band. Sporadic E-layer propagation is a very fickle mode, unpredictable and with large signal strength normally. The single skip distance for sporadic E-Layer (Es) is normally between 800-2200km usually with a relatively fixed point of reflection for each session. The MUF (Maximum Usable Frequency) varies normally between 30-110MHz but can be higher which makes the 6m band the ultimate Es band. Es propagation normally occurs during daylight hours in the summer, but can also happen around midnight during winter season. 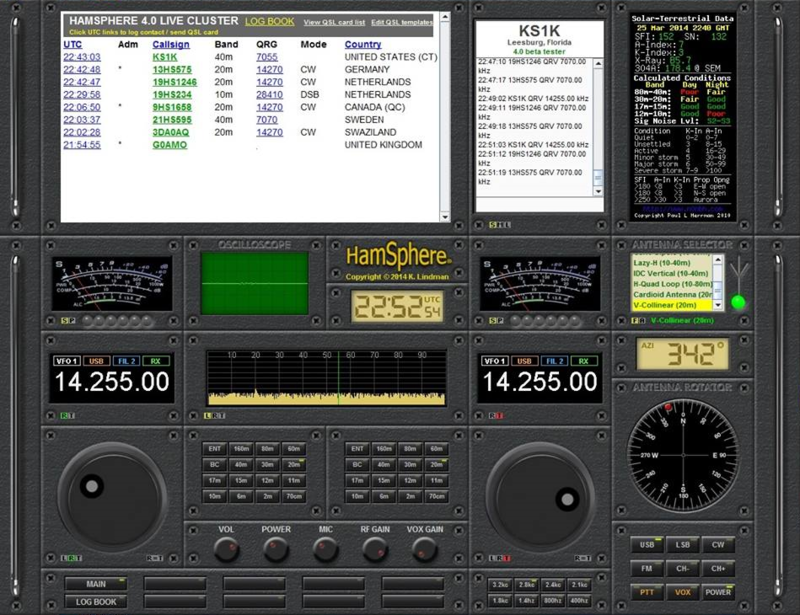 HamSphere 4.0 has virtual VHF and UHF repeaters operating on the 2m and 70cm band. The geographic location of these repeaters is different, but they are all linked in a way similar to "EchoLink" so communication between large distances is possible. The EasyPal/MSSTV workshops are a success. Some new operators now can RX and TX with great results. More joining in and helping with TX and RX and results are shown on the MSSTV group for users to see and grab if they wish. We would like to thank all users for keeping to the rules and regulations as we can use voice during the workshops but it has not been used at all. We are just sending pictures with text, just brilliant. No voice - no kicks and it is just going well. We are continuing 1st Wednesday every month 10-00 - 16-00 UTC next being the 7th may 2014 and hopefully carry on for the HamSphere 4 release. India DX Net is now in the ninth month of regular operation and has grown from strength to strength as it has matured into the most active and stable net operation on HamSphere. The net is conducted every day, all seven days a week starting at 11:30 UTC and carries on for at least three hours if not more. India DX Net has logged over 800 hours (spanning over 250 days) of fruitful discussions, interactions and question/answer sessions amongst participating HamSphere operators from all around the world. It is now the largest peer-to-peer interactive net with a large number of check-ins each day and has a much larger number of operators QRG who listen and follow the proceedings each day. On a regular day the net attracts 30%-40% of total users logged on to the HamSphere system at that time and quite often the QRG is even higher than 50%. India DX Net is proud to have amongst its regular participants a set of operators from all around the world aggregating to hundreds of man-years of Ham Radio experience with diverse expertise and skill sets pertaining to all aspects of Amateur Radio including HF/VHF/UHF communication, propagation, antennas, DX operating skills, deep understanding of communication equipment, various modes of radio communications including CW and various digital modes. India DX Net has always tried to position itself in a manner where operators who are new to the hobby are helped and motivated to learn and understand the finer nuances of amateur radio and develop the required skills to enjoy HamSphere. With HamSphere 4.0 around the corner India DX Net has consciously aligned its discussions in a manner that is conducive for imparting clear and authentic information about the new upcoming system, what to expect and how to prepare oneself to operate on HamSphere 4.0. In the coming days and months we will step up our efforts in this regard to assist operators, shield them from the transition blues and make them ready to easily embrace the amazing HS version 4.0 which will open up a whole new world of realistic Amateur Radio on the HamSphere platform. We therefore invite any operator who wishes to prepare for the transition or may have apprehensions or questions to join us on the India DX Net. We will endeavor to reply to all your queries to your satisfaction. 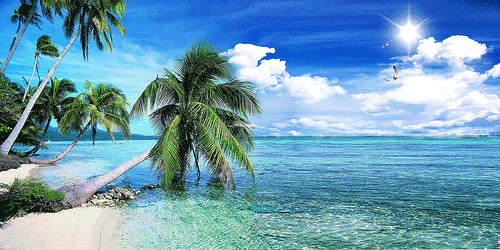 1) Vietnam DXpedition by 9V1CZ (Joseph). 2) Vietnam DXpedition by 60HS164 (Robert) from Hanoi Hilton (Hao Lo Prison) operated as 242HS166 on 30-01-2014 and 31-04-2014. 3) Macau DXpedition by 60HS164 (Robert) operating as 240HS109 on 01-03-2014. 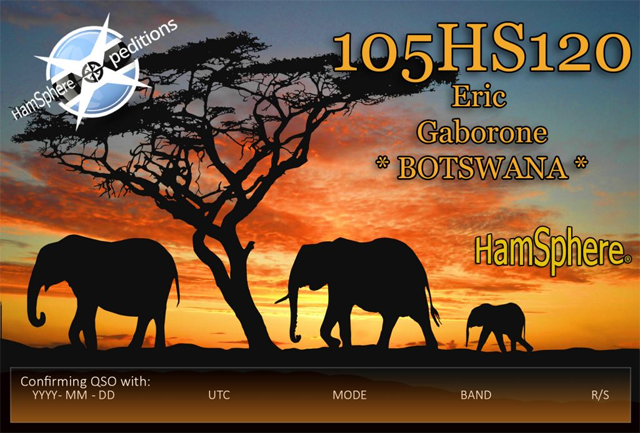 4) Botswana DXpedition by 44HS842 (Eric) operating as 105HS120 on 05-04-2014. The 105HS120 Botswana operation was unique in respect to its method of operation. Eric (44HS852) who operated the DXpedition was very kind and gracious to honor India DX Net with his presence. He allowed (VU2NSB) working as his net control operator and this caused the DXpedition to be conducted in a manner similar to a real HF radio environment. It was a true pileup operation where calling stations were picked up on the QRZ calls without resorting to the use of the rolling cluster or the private messaging system. Botswana DXpedition was a resounding success with more than 170 QSOs in 3 hours. The pileup was very heavy in the first hour with more than 120 operators reported to be QRG. Thank you Eric for giving India DX Net a new milestone to boast. 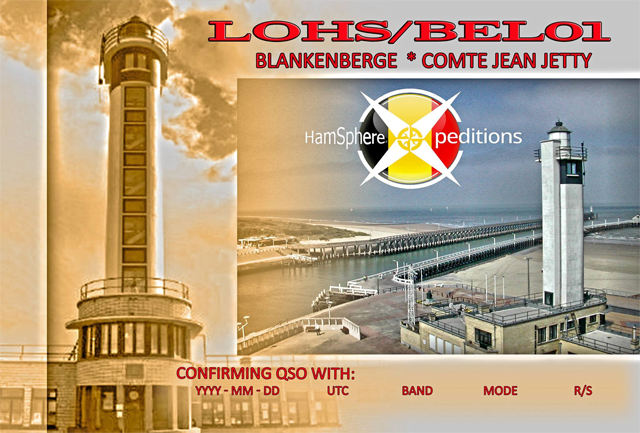 In the near future, India DX Net expects to host the next Guernsey DXpedition that is being planned by G4IBW (Rich). Military veterans worldwide, regardless of the country, are invited to check in and participate in our 60-90 minute session. All of us are HamSphere subscribers, but we were all military veterans first, and these two facts give us immediate things in common. This net has seen considerable camaraderie and it's interesting how small the world is actually at times. Almost every session discovered many of us were stationed at or near the same duty stations and even the possibility of the same time period. Hopefully with the change in time and frequency, it will make it possible for more veterans to join us on the air. IMPORTANT: We need 2-3 volunteers to help on a rotating basis (every 3 weeks) with a net control station for our 60-90 minute session. Send a private message (PM) to Bill - KE7C as it is becoming impossible for him to be net control every week as Saturdays are the busiest day of the week for his job. SECOND NOTICE: Military Veterans in the eastern hemisphere miss the opportunity to be part of our overall Military Veterans Net Family due to time differences. We ask for 2-3 stations that are military veterans in the eastern hemisphere, to send a private message (PM) to Bill KE7C and he will help you set up a second network to cover your part of the world every Saturday as well. 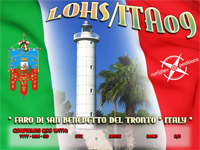 We are starting " HamSphere Italia DX NET "
The aims of this group are: Searching DX, getting qsl's, achieving HS award and last but not least the knowledge of the new HS 4.0 as soon as we get it. 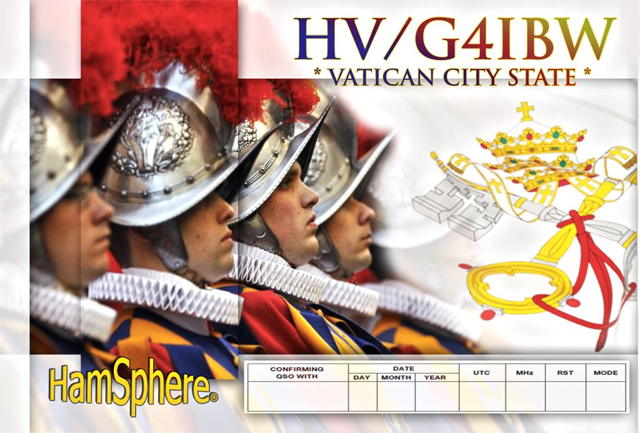 It was probably the most awaited expedition by DX hunters - HV/G4IBW - VATICAN CITY STATE. Rich activated this extremely rare country in the HamSphere bands for three days. Hi! Enjoyed our time in the Vatican City. It was a pleasure to make all the contacts. Thanks to Martin for arranging everything and the wonderful qsl card. while we were there with temperatures up to 21 degrees and also the Rome marathon was on as well which was very interesting. bit awkward for us, just a bit of luck - the laptop was in the hand luggage and we managed to buy a new mic and mouse which were in the main luggage. enjoyed the activation and look forward to the next one. Also thank you Kelly for this great software, which allows doing these activations. Big Thanks to Rich G4IBW for this opportunity to acquire a rare country! Botswana DXpedition 5th - April 6, 2014 was initially conducted on Saturday, 5 April 2014 at India DX NET. VU2NSB (Basu) NET Controller launched pileup in the "Real Mode"
This was a new concept for all operators to get used to, and it was very exciting! 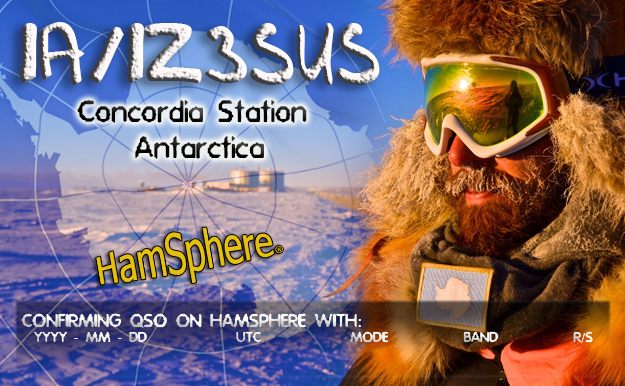 This was really exciting for DX hunters, Paride IZ3SUS was active on HamSphere from the Concordia station in Antarctica. We Initiated his call sign IA/IZ3SUS and he worked via Satellite provider. Rob (60HS164) conducted a DXpedition from Macau from the 28th Feb 2014 to 2nd March 2014. The HamSphere call sign for this DXpedition was 240HS109, active from Lamma Island. 240HS109 was a guest operator at India DX Net (28.455 MHz). It was a net controlled and moderated session by VU2NSB Basu who regulated the pileups. 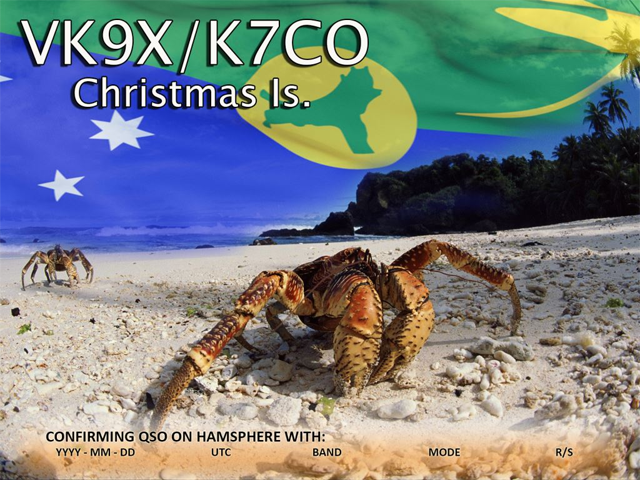 K7CO Jon agreed to activate Christmas Island on the HamSphere bands. 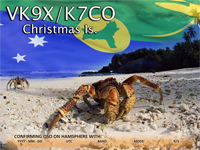 Station VK9X/K7CO was active on HamSphere in March 2014 for several days. worked from ATOMIUM in Brussels as SES, just from the room near the restaurant on the highest sphere. On this occasion, he prepared a beautiful QSL card. 6Y/W1SWL transmitted from Negril Beach. The University Club Station Z60A is quite active - now also on HamSphere. has taken the initial steps and became active. A selected small group of students will soon follow. Fehmi is sporadically active now. all activated on the February 22-23 weekend. Thanks to the famous DX-man in the world, Martti Laine OH2BH who made ​​this possible. 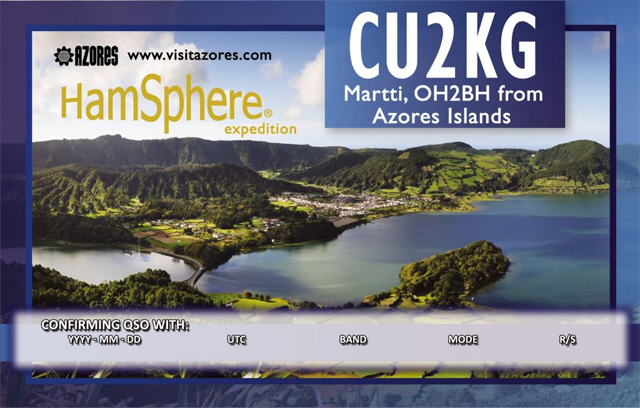 Additionally, the Azores (CU2) was activated in the HAMSPHERE SYSTEM for the first time along with Madeira (CT3) and Kosovo (Z6). All three now count for the HamSphere DXCC list !!!!!!! 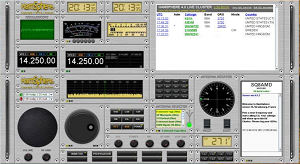 approach is worth testing as it may have great potential in terms of facilitating the intake of young people into Real Amateur Radio, an endeavor now pursued actively in many countries. All the time our operators perform further activation of lighthouses. 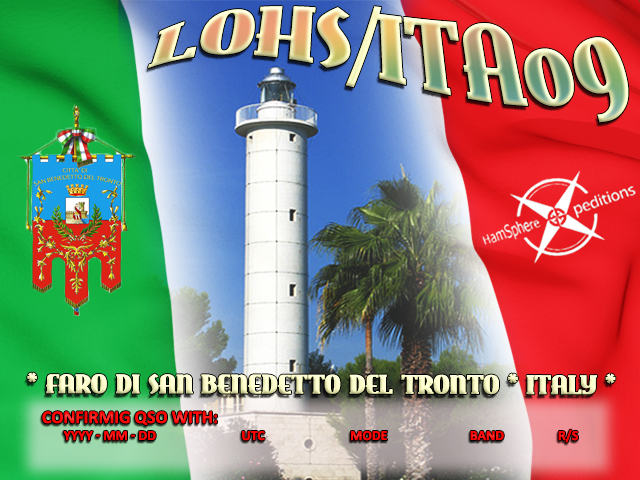 16th February 2014 Sergio (1HS5089) activated LOHS/ITA009 - San Benedetto del Tronto - Lighthouse in Italy. of Jordan, King Hussein bin Talal. 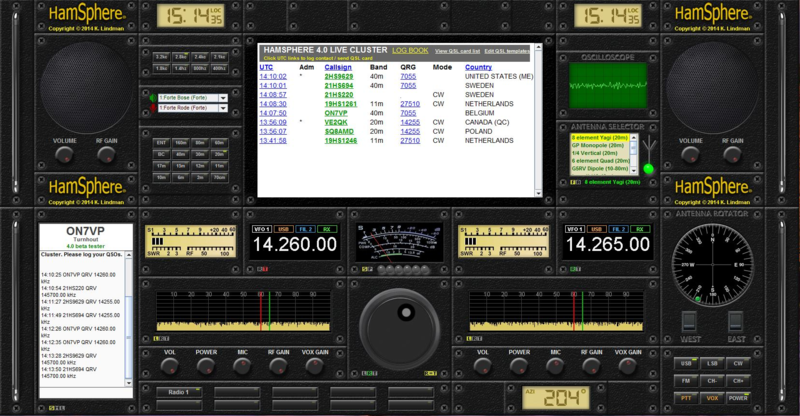 Was active 02-02-2014 on the 20 m band 14.260 MHz. Mai 340HS186 worked the pileup alone, without Net Control. 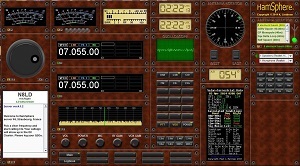 242HS166 operator was a guest of India DX Net (28.455 MHz). It was a controlled and moderated session by Basu VU2NSB, who regulated the pileups. In the remaining days of the expedition 242HS166 worked on 50.120 MHz. On Feb 1, 2014, 16HS222 Luc once again activated the next lighthouse. Unfortunately, after a few minutes, Luc had to stop work due to personal reasons. He finished the activation in the next week. Luc announced further activations of other lighthouses in the future. 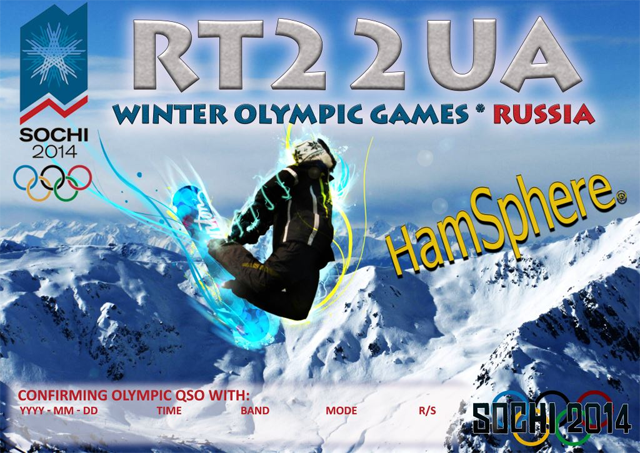 HamSphere "Christmas Contest 2013" was held 2013-12-26 08:30 through 2013-10-26 11:00. The results are based on a properly filled out logbook and that power limitations were kept. Congratulations to 15HS393 who won this contest with the score of 1377. Well done! Here are the results of the HamSphere “HamSphere International DX Contest 2014” that were held 2014-02-22 to 2014-02-23. We had a total of 271 participants performing 10347 QSO's. Graham managed to complete 394 valid QSO's and 345 multipliers. Patrick, ON7VP managed to log the most countries. He logged a total of 40 different ISO2 codes. 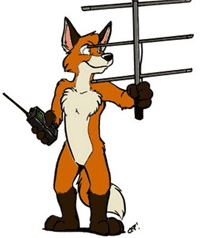 The Amateur Radio term "Fox Hunting" refers to another kind of Radio Direction Finding (RDF) contest, done completely on foot in large woods and parks. It's a map and compass sport similar to orienteering, with about a half-dozen "fox" transmitters to find in a period of two hours or so. Someday this sport, which is also called foxtailing, foxteering and radio-orienteering, may become an Olympic event. Meanwhile, it's a fun-filled activity for your Hamfests and Scout Jamborees. On HamSphere we can't do directional finding, but we can hide transmitters. We have hidden 5 Ham Radio fox transmitters on all bands of HamSphere except BC. Foxes are ID’d as: MOE, MOI, MOS, MOH and MO5. They all transmit with slow Morse code with 100 milliwatts so they can be difficult to spot if propagation is low. This particular hunt will start 20th of April 2014 00.00 UTC and end 27th of April 2014 23.59 UTC and the objective is to log as many foxes as possible. The fox hunting is not about Morse code. You can just count the dots in the last character of the ID. To ID the Foxes, for example MOE will transmit Dah, Dah followed by Dah, Dah, Dah followed by Dit. Please log UTC, QRG and Fox-ID in your logbooks. The Fox transmitters are moving around and use different frequencies and bands. There is a 1.5 sec carrier wave before ID to make it easier to spot them. 10 Winners will be rewarded free subscription extensions. You can listen to a fox demo transmitter on 6210 kHz, Frankfurt server #2. It transmits with 0.1 Watts every 15 seconds. During the 3 first months of 2014 we saw 12600 new users from 183 countries. The total number of countries represented is currently 239. HamSphere has three kinds of users: Trial, DX-Users and Subscribers. The Trial users can test the software for 7 days then they can decide whether they want to continue as subscribers or not. 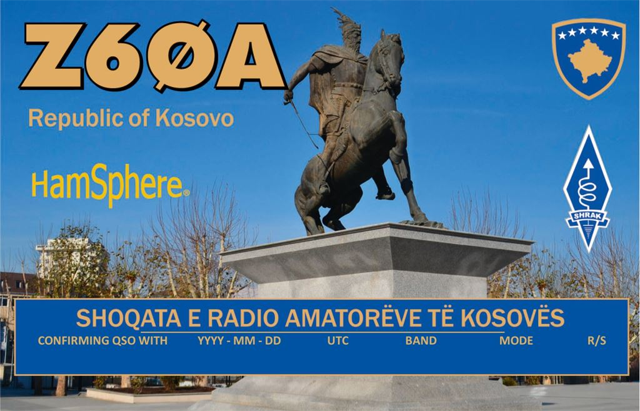 For third world countries and countries with lower standards of living we offer a so called DX-User account which gives the user "free-to-air" access to HamSphere. The DX-List is loosely based on PayPal's implementation of their payment system in combination of the country's BNP. Countries without PayPal access are automatically on the DX-List. The BC band has been closed for transmission, as it will be reorganized into a training band. 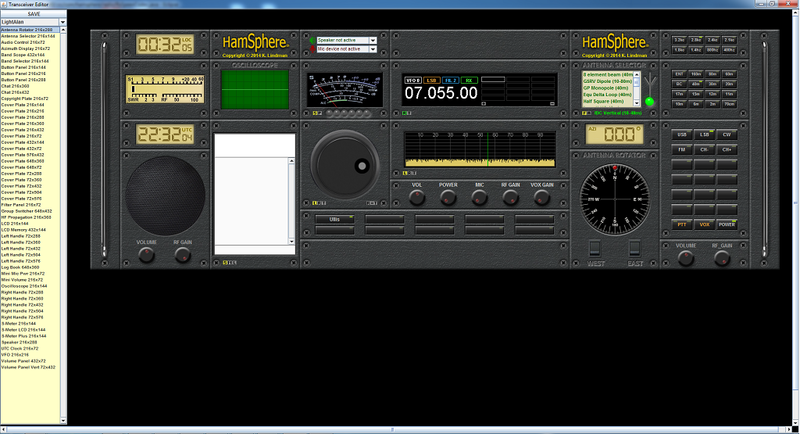 We will use the broadcast band for short instructions on how to use HamSphere 3.0 and 4.0. It will also carry Ham Bulletins and DX info. Hello fellow ops. My name is Basu and I've been a Ham operator for 38 yrs. I am 54 yrs old, married and have two kids. Electronics and telecom engineer by profession. Work in my own business of manufacturing professional equipment and consultant to corporations and various Indian government agencies. Been a HamSphere admin for just a few months and my effort has been to assist newbies whenever it is needed and being an admin helps, they are more receptive. DX from the following countries have been heard over the past month. to the Code Of Conduct when operating the HamSphere transceiver. and causing disruptions on frequency. Over modulation is becoming more frequent, this can be very uncomfortable for the receiving station and becomes difficult to hold a QSO. Please try to keep your modulation within the ALC level in the signal meter. To test your levels you can do this in the 160m band on Frequency 1.823.45MHz. Trial users are new to HamSphere so they need a helping hand to assist them in the understanding of how it all works. If you hear one calling CQ, acknowledge the call and have a chat, you may be able to help out with any questions they may have, but please try not to break in on a conversation between a Trial User and a seasoned operator who is helping them, they may become very confused if a lot of operators are telling them all the Do's and Don'ts. Wait till they have finished, then give them a call. QSL Cards are always nice to send and receive for confirmation of a QSO but please do not use the cluster or the private message system to ask for your QSL card as this frequent spamming could be found a bit offensive to operators seeing it in the cluster or in there PM box. Please remember that it is voluntary for any operator to send a QSL card. 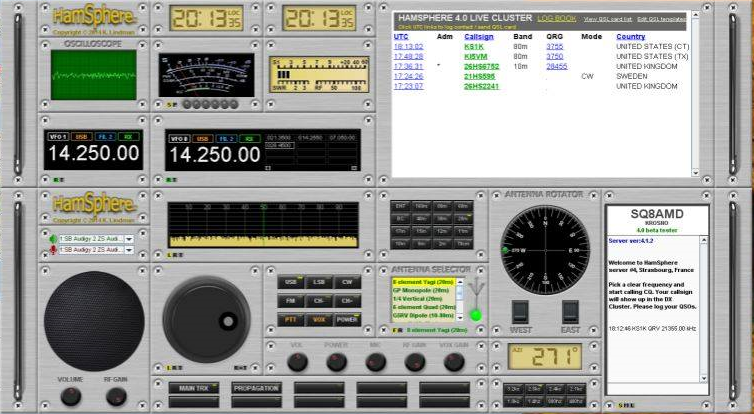 The Chat/Cluster box should not be used as a chat box, we have a lot of frequencies on HamSphere so please keep your chat on the bands. The occasional short message to let someone know to QSY is acceptable. 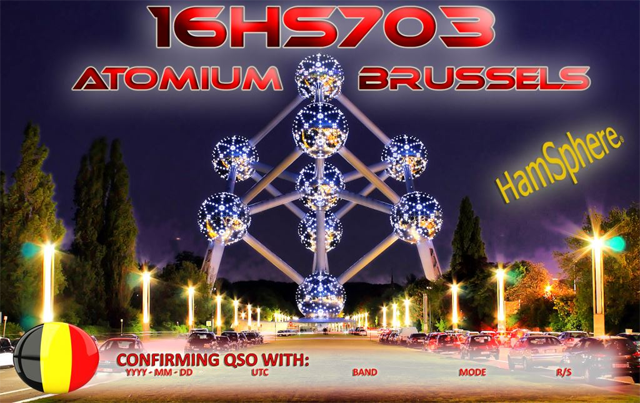 For a special event/QSL card, you can type in the operating frequency once every 5 to 10 minutes to let operators know that this is a special event/QSL Card with your operating frequency but please do not take advantage of this chat feature. When on a frequency with an operator acting as "Net Control" please listen to Net Control for when you can check in or make your call, please do not call over the top of a QSO trying to break in, Net Control will ask for stations to check in or to go ahead and make your call. If it is a DX contact or a new/rare country, keep the QSO short, in this situation you would only need to exchange your call sign and signal report to establish a valid contact. These are only a few key points that we all should be aware of, but please make yourself familiar with the HamSphere Rules and Code Of Conduct which you can find here. Support System or contact one of the Admins. Have you joined the HamSphere Facebook groups?? For all sorts of help and general questions with lots of information to help all operators of HamSphere, join the H.T.G HamSphere Training Group. The HamSphere annual subscription costs 30 Euro, that is about $40 USD and includes all our features even the iPhone and Android apps. It also includes the standard 4.0 transceiver when that is released in 2014. We have now received over 18,500 recommendations on Facebook – Thank you FB users. And thank you to over 3900 followers on Twitter. Super!! 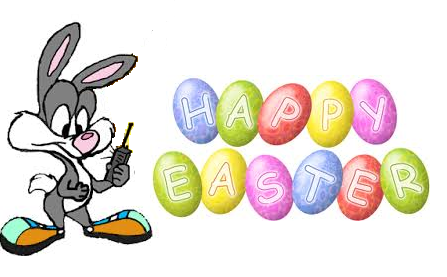 Happy Easter from your HamSphere team. And as a bonus, we are happy to include a short extension of our trial users in this Newsletter.